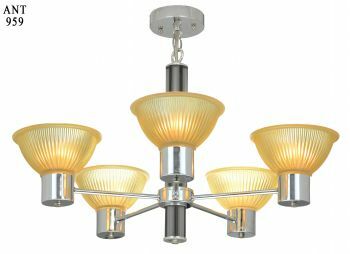 An interesting chandelier that is rather hard to date but consistent with 50s design. 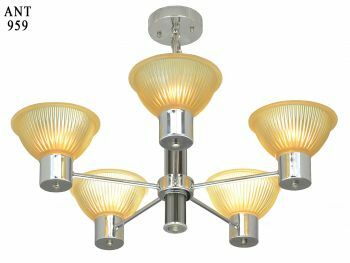 This design crosses so many lines of decorative elements that it can be used in a myriad of ways. 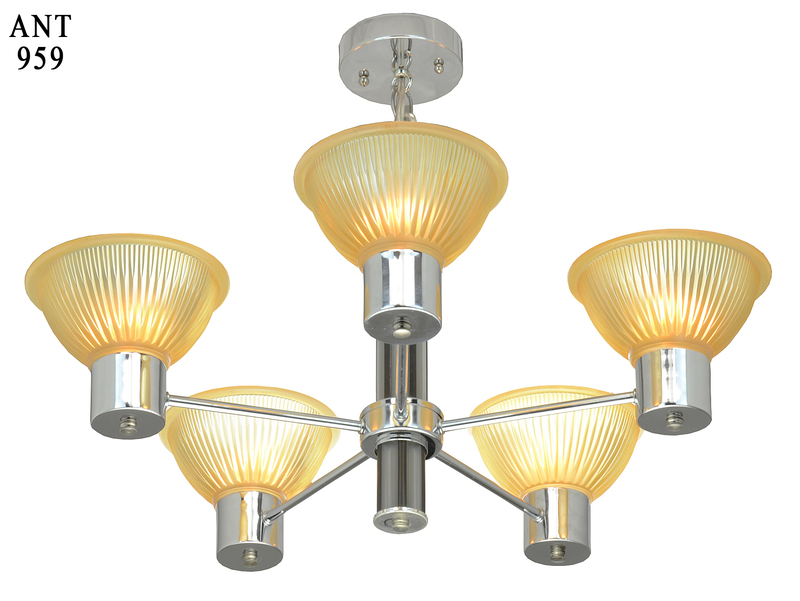 This interesting chandelier has been completely re-wired in our UL shop with medium base sockets for all five arms. Comes complete with the amber halophane shades shown. A full mounting kit will be provided. Measurements: 19" tall with a diameter of 21 1/2".